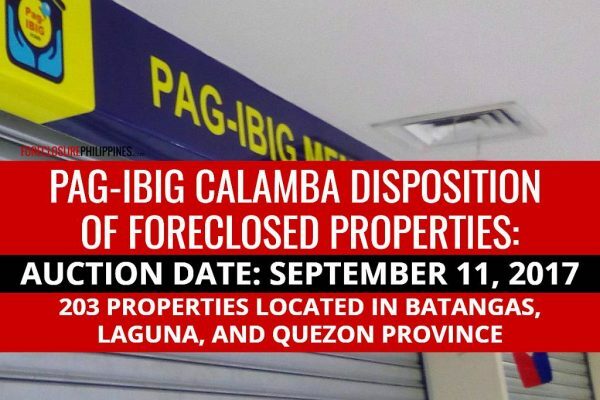 The Pag-IBIG Fund Committee on Disposition of Acquired Assets shall conduct 2 public auctions on September 11, 2017, for their Calamba branch. One auction will offer properties at discounted selling prices, while the other will have no discounts. 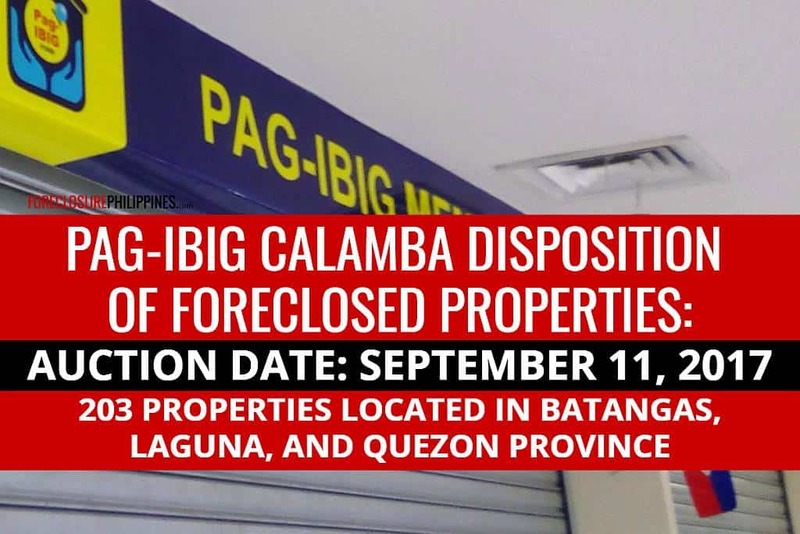 In total, there will be 203 Pag-IBIG foreclosed properties included in the two auctions, where most are from Batangas and Laguna, with a few from Quezon Province. For more details, please contact Pag-IBIG directly through the contact details specified in the listings above. You may also download the official forms directly from Pag-IBIG’s website. Reminder: If you have any questions/inquiries, please contact Pag-IBIG directly through the contact details within the listings above, or visit their official website. Always transact with Pag-IBIG directly. Thank you for understanding!